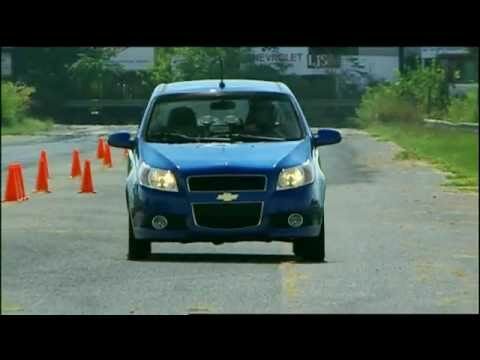 If you're looking for budget-conscious, efficient basic transportation you'll like the 2009 Chevrolet Aveo. Practical, utilitarian and with no complicated high-tech systems to learn, the little sedan is also a good choice for RVers looking for a haul-behind car. Another plus: The high seating position for driver and passenger. It's very reliable. It was very cheap, that was why i bought it, cheap on gas also. You get great gas mileage. It is a stick shift. The gears shift nicely. When I first bought it, I had to break it in, like it wasn't used to getting into fourth gear and the first few times on the highway you could tellout went used to getting any speed, but it handled nicely. It is very small and cramped quarters, so it wouldn't be useful for a family, but for a single person I suppose out would be just fine. It handles sharp curves a little shakily, so it's best to go real slow around curves, but you don't get the tippy feeling as you might think you sound when taking sharp curves. There is no air conditioning so it does get pretty hot in the summer time, especially with the all black interior. The car is so little that yippy feel like a midget compared to all other cars on the road. Reliable, affordable, and a great first car. This is my very first car. I got it in high school and it has lasted me up until this point. It has had a few things that needed to replaced here and there. I have probably spent about $1500 on repairs in the last four years. For the most part, it has been extremely reliable. I have traveled thousands of miles in this car to go to university and come home for breaks. I also have taken my car on a lot of road trips. It gets phenomenal gas mileage and it only takes between $20 and $25 to fill an empty tank up. It is definitely not luxury but it is nice especially right after I finish cleaning it. It is actually a model only sells in china I thing. My car actually is a spark which I bought on 2009. It is my first car, a blue one. I can only afford that back to that days. It is small but I like it very much. I used it almost everyday commuting. It never lets me down. It is also cheap to maintain. It will have some small problems like the noisy when driving, the noisy of the wiper. After changing some of the small parts, it is like a new one though. I really wanted to sell it when the third year I owned it. But I don't want to sell it such a low price. I love it. So I have kept it till now. If I buy new car, I will not sell it. General Motors LLC (GM) is recalling certain model year 2009-2010 Chevrolet Aveo and 2009 Pontiac G3 vehicles. The vehicles may contain brake fluid which does not protect against corrosion of the valves inside the anti-lock brake system (ABS) module, affecting the closing motion of the valves. If the ABS valve corrodes it may result in longer brake pedal travel or reduced performance, increasing the risk of a vehicle crash. GM will notify owners, and dealers will replace the ABS module, free of charge, in any vehicle that did not have its module replaced under a previous customer satisfaction campaign. The recall is expected to begin in mid-September 2014. Owners may contact GM customer service at 1-800-222-1020 (Chevrolet), and 1-800-762-2737 (Pontiac). GM's number for this recall is 14505.